Emily Thiel, P43E, of Oranjestad, Aruba, died on April 12 after suffering an apparent stroke while hiking in Aruba National Park. She was 49. Thiel was a competitor at WRTC 2006 (held in Brazil), a member of the Aruba Amateur Radio Club, and she managed the Aruba QSL Bureau. Licensed in 1997, she attended various conventions and hamfests around the world. She was part of the A61AJ multi-operator team for the 2003 CQ World Wide SSB Contest. Thiel was a member of the FISTS Club and of the YLRL. Of Costa Mesa, California, died at home on April 28th following a three year battle with cancer. She was 75. Sandi was a member of the Orange County Amateur Radio Club, the Palomar Amateur Radio Club, the Quarter Century Wireless Association, the Southern California DX Club, the Young Ladies Radio C lub of Los Angeles, she was a past officer of the Young Ladies Radio League, a life member of the American Radio Relay League, a member of the Western Country Cousins, the Bishop Amateur Radio Club, and many other amateur radio groups. Condolences to the families, friends and Amateur Radio communities that both these ladies were such a big part of. and The Thelma Souper contest (NZ – WARO) was cancelled this year. Congratulations to ZS5KIM Kimmy and OM Justin, ZS5JW on their marriage 27/04/2018. 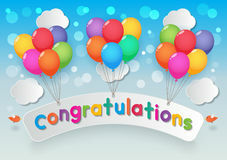 Wishing you both much joy and many QSO's. Ed: Anyone know the appropriate greeting for hams getting married? "You make me want to be a better Dxer..."
" I think this is the beginning of a beautiful net." "Here's beaming at you, kid." My mama always said, life was like a DX pileup. You never know what you gonna get." SARL Forum 24/08/2016 ---- "MOVIE QUOTATIONS"
In this issue Morse code seemed appropriate in celebrating Samuel Morse's original telegraphic transmission 24 May, 1844. Morse code which proved so useful aboard ships provided a link to the RNLI (Royal National Lifeboat Ins) SOS month, the Portuese Navy and Musuem ships. Before the voice call "mayday", SOS in Morse code was used. Mayday is an emergency procedure word used internationally as a distress signal in voice-procedure radio communications. From the French m'aidez ('help me'), it is unrelated to the holiday May Day! From the first Danish telegraphic lady to modern days moms, ladies have used Morse code. 24 May anniversary of Samuel Morse's first coded telegraph message. Samuel Finley Breese Morse (1791-1872), contributed to the invention of a single-wire telegraph system based on European telegraphs. He was a co-developer of the Morse code, and helped to develop the commercial use of telegraphy. Telegraphy used long wires stretched between cities and depended on "Morse code", which is a way to spell with long and short pulses. Usually, those pulses were the result of a "code key", a kind of switch which caused an electromagnet on the other end go the wire to attract an arm on a device called a "sounder" which makes a click. The operator learns to understand the meaning of the clicks, and can "copy" the code. Essentially CW refers to a Morse transmission using a radio signal - the abbreviation coming from the fact that it uses a Carrier Wave, or Continuous Wave that is interrupted. The 92 Code (Deliver Promptly) was first adopted by Western Union in 1859. The reason for this adoption was to reduce bandwidth usage over the telegraph lines and speed transmissions by utilizing a numerical code system for various frequently used phrases. Today, amateur radio operators still use codes 73 and 88 profusely. Radio-amateurs also occasionally use the code 99 for "Go to Hell"[? ], though this may be their own addition to the code-table. The Young Ladies Radio League uses the code 33, which means "love sealed with friendship and mutual respect between one YL [young lady] and another YL." The other codes have mostly fallen into disuse. Q-Code The Q-code was originally instituted at the Radiotelegraph Convention held in London, 1912 and was intended for marine radiotelegraph use. Today they are still used as shorthand between radio operators. Although originally developed to shorten transmission times when using CW, they are frequently used in voice transmission; eg. QTH (station location), QRP (low or reduced power), and QSL (confirm). When wireless radiotelegraph machines first made their way onto ships around the turn of the 20th century, seamen in danger needed a way to attract attention,. At first, different organizations and countries had their own distress signals. The U.S. Navy used “NC,” (the maritime flag signal for distress).. The Marconi Company, used “CQD.” German operators used “…---…”. 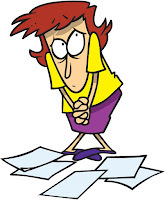 Having multiple distress signals was confusing and potentially dangerous. 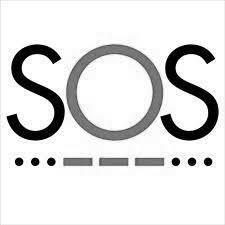 SOS is the International Morse code distress signal. Among the last military personnel to use Morse code were signallers on ships, who used it with signal lamps to communicate over short distancess.. Merchant shipping replaced the Morse-based service in 1999 with satellites. SOS is still recognized as a visual distress signal using flashing lights or reflections. Used as an audio signal, Morse code can be transmitted via a radio signal or even the sound of a car horn. In survival situations, Morse code can be produced via the banging of pots and pans or knocking loudly on a hollow object. Morse code can be transmitted using touch or pressure. For instance, tugs on a rope as a means to transmit Morse code to an injured miner. A system of Signal Reporting was established about 1934 as a quick method of reporting Readability, Signal Strength and the Tone of CW. On SSB (voice contacts) , the final digit (tone) is normally omitted. 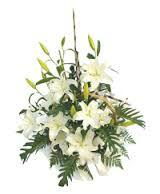 It is a system by which a received signal quality is graded, and a signal report is given. 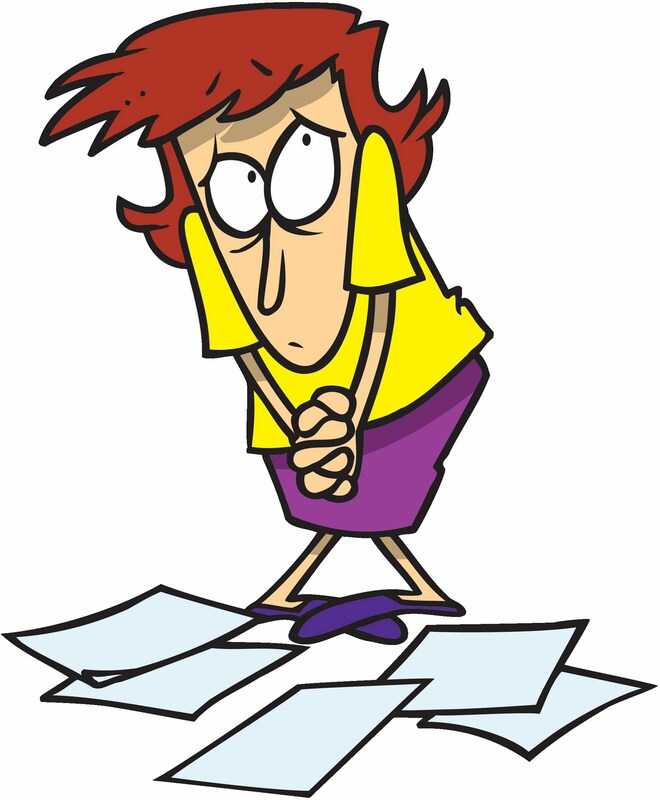 "Readability" is judged on a scale from 1 to 5, and "Strength" and "Tone" are judged on a scale from 1 to 9. "Tone" does not apply to a "phone" (voice) signal. A very high quality CW signal is "599" (pronounced "five nine nine"), and such a phone signal is "59" (pronounced "five nine"). The RST is also reported on QSL Cards and must be filled in correctly. Although many DX operations and contest stations merely report "599" as a convenience to avoid having to log each of the real reports. The use of a large number of abbreviations and the formalised formats for ham radio contacts means that Morse or CW can be used by people from around the globe even with a poor command of languages like English. The only Morse users left are licensed amateur radio enthusiasts, hams. Morse Code had long been a requirement for an amateur radio licence, so that hams could understand distress and other important traffic, and as the means of last resort when voice was not possible Although in 2003 the requirement was dropped, large numbers of hams around the world still choose to use ‘CW’, and there is no sign of that dying out for a while yet. Mathilde Fibiger (13 December 1830 – 17 June 1872) died age 41 was a Danish feminist, novelist, and telegraphist. In 1866, she completed her training at the Helsingør telegraph station, and became the first woman to be employed as a telegraph operator in Denmark. The Mathilde Prize (named after Mathilde Fibiger) is awarded for contributions towards equality between women and men in academia. In reply to an article (yl #51, 4 Oct,2017) OM Larry AG5Z wrote: I still have the converter my dad built to allow us to listen to the beep beep beep of Sputnik. My mother and father were both hams (W5DRI and W5DQK) since around 1951, so I grew up around ham radio. They would sometime communicate across the supper table using morse code. My brother, sister and I would not know what they were saying so we learned the code out of self defense. I remember as my mother was working to up-grade to General, she had to learn to draw various circuits especially those of oscillators, such as Armstrong, Hartley, Colpits, Pierce, etc. She learned how to draw the circuits by sewing a blue skirt and embroidering the schematics in white thread around the skirt in a similar fashion to the popular poodle-skirt. My Mom's W5DRI callsign transfered to my daughter, Natalie. Natalie passed away in April of 2014. My XYL, Sylvia, now holds W5DRI. Three generations of family YLs, in an incorrect order, have held the W5DRI call. I think this is kind of special. UBA The Royal Belgian Amateur Radio Union Celebration its 70th birthday. 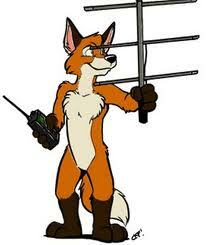 A "foxhunt" is one of several names for radio direction finding (RDF), a competition to locate a hidden radio transmitter. Participation is not limited to licensed hams, as there is no license requirement to receive, so everyone can participate. The Dayton Hamvention is an amateur radio convention (or hamfest), generally considered to be the world's largest hamfest. Held each May, the first Dayton Hamvention occurred on March 22, 1952 (QST March 1952). Portuguese Navy Day celebrations celebrate the arrival of the Armada of Vasco da Gama in India. The contest is open to all radio amateurs and SWL according to the rules. June 9 – June 14, 2018 – The Portuguese Navy’s Tall Ship NRP Sagres will be docked in Boston Harbror and will be open for public viewing. MUSEUM SHIPS WEEKEND 0000Z June 2 - 2359Z June 3, 2018 FUN Event! Ladies of the Net will activate Museum Ships Weekend aboard the USS Lucid in Stockton, CA Saturday June 2! Ship call sign N6MSO. Russian Robinson Club members Yuri RM0F, Sergey R4WAA, Sergey RZ3FW, Yuri N3QQ and Elena RC5A plan to be active from Big Corn Island, NA-013 Nicaragua during November 26 to December 6, 2018. QRV on 160-10m, CW/SSB. 24 anniversary of Samuel Morse's first coded telegraph message. 2-3 MUSEUM SHIPS WEEKEND 0000Z June 2 - 2359Z June 3, 2018 FUN Event!